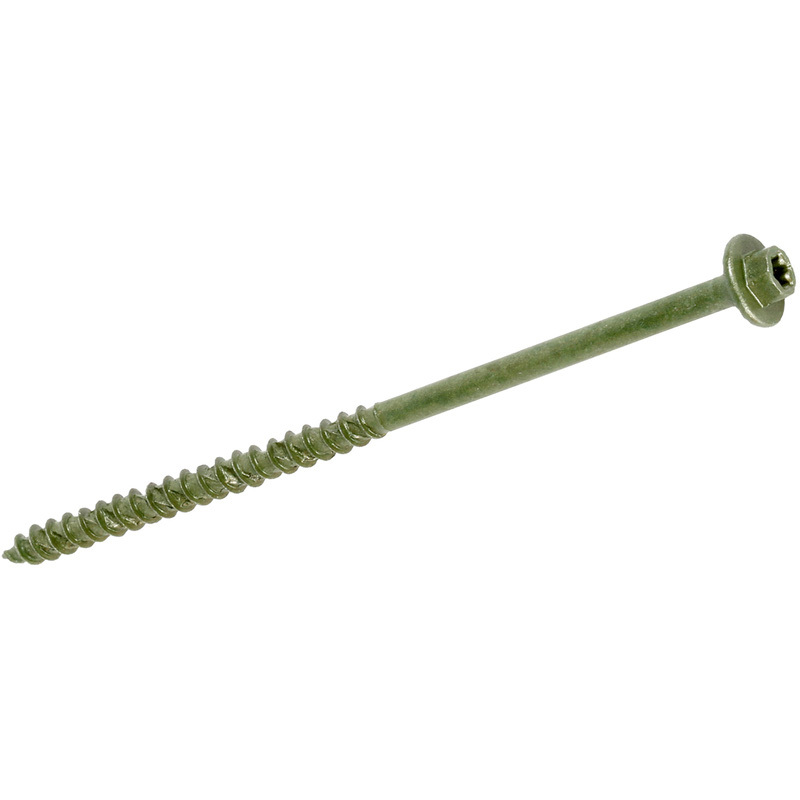 ForgeFast Timber Fixing Screw Green 7 x 200mm (50 Pack) is rated 4.6 out of 5 by 21. Rated 4 out of 5 by JohnSi from worked well for the most part dipped the ends in vaseline to help drive in and pre-drilled holes, for the most part worked ok. but a couple we could not drive all the way in no matter how hard we tried. had to cut the heads off in the end. Rated 5 out of 5 by sitetech from strong and long one of the best long scews we have used. Rated 5 out of 5 by Vivla from Good Value A good product, easily drove into sleepers; bit provided was good quality and didn't chew up screws. Rated 5 out of 5 by Cyndi from Works as meant to Excellent screws, do exactly what they are meant to. Rated 5 out of 5 by Steve W M from Great product Used for two decking projects these screws have worked a treat great quality Ideal for the job and would recommend these screws for decking projects.